early elementary – somewhat bookish. Pros: Such a cute sweet tale, with great illustrations. The book does a great job of describing how Tango’s family is different without making them seem odd or abnormal. Difference as a fact of life, rather than a problem to be overcome. 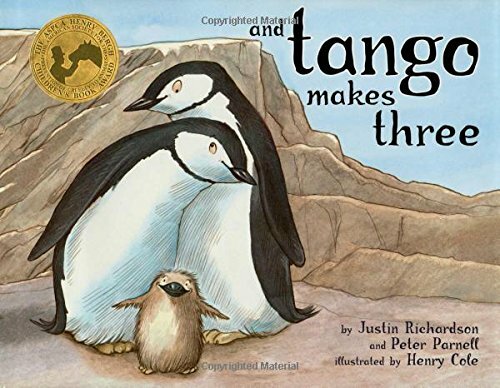 Cons: It’s a little sad that my favorite book about two dad families is about penguins, but hey, that’s not this book’s fault! The Bottom Line: Definitely read it! Such a lovely story. Super accessible to every one. Lon Po Po is (as it is subtitled) a Red-Riding Hood story from China. It tells the story of three sisters, left at home alone, when their mother goes to visit their sick grandmother. That night a wolf knocks on the door and pretends to be the grandmother. Although the younger sisters hurry to let in their beloved grandmother, the oldest sister, Shang, is suspicious and eventually figures out how to trick the wolf into leaving their house (without eating anyone). 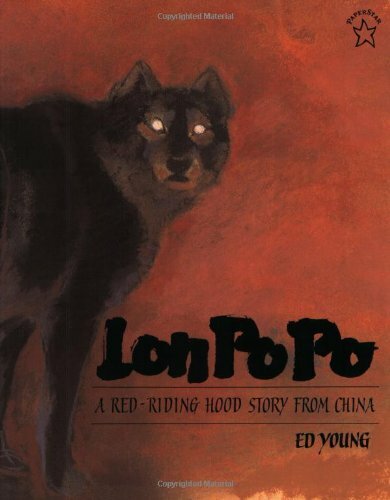 Ed Young both wrote and illustrated Lon Po Po. Young was born in China in 1931 and came to the U.S. 20 years later to study architecture. He soon discovered his true love was art and switched his major! The first children’s book Young illustrated, The Mean Mouse and Other Mean Stories written by Janice May Udry, was published in 1962. More than 80 more followed! In addition to his win in 1990 for Lon Po Po, Young had Caldecott Honor Books in 1967 (The Emperor and the Kite) and 1992 (Seven Blind Mice). His illustrations are based in the philosophy of Chinese painting. In Lon Po Po, Young used pastels and watercolors to create beautiful, shadowy illustrations showing how children might mistake a wolf for a grandmother. The illustrations are split into panels, with text appearing in just a small part of the page. I love reading fairy tales from other cultures (Cinderella stories from around the world are a particular favorite, which means I’ll definitely have to check out Yeh-Shen which is a Chinese Cinderella tale that Young illustrated). The wolf is a menacing presence in this version of Red Riding Hood, but never gets to the “eat you up” point, which actually made my 4-year-old daughter confused about why then they tricked the wolf outside and killed it. May be a little more appropriate for slightly older kids. One of my Life List goals is to read all of the Caldecott winners. 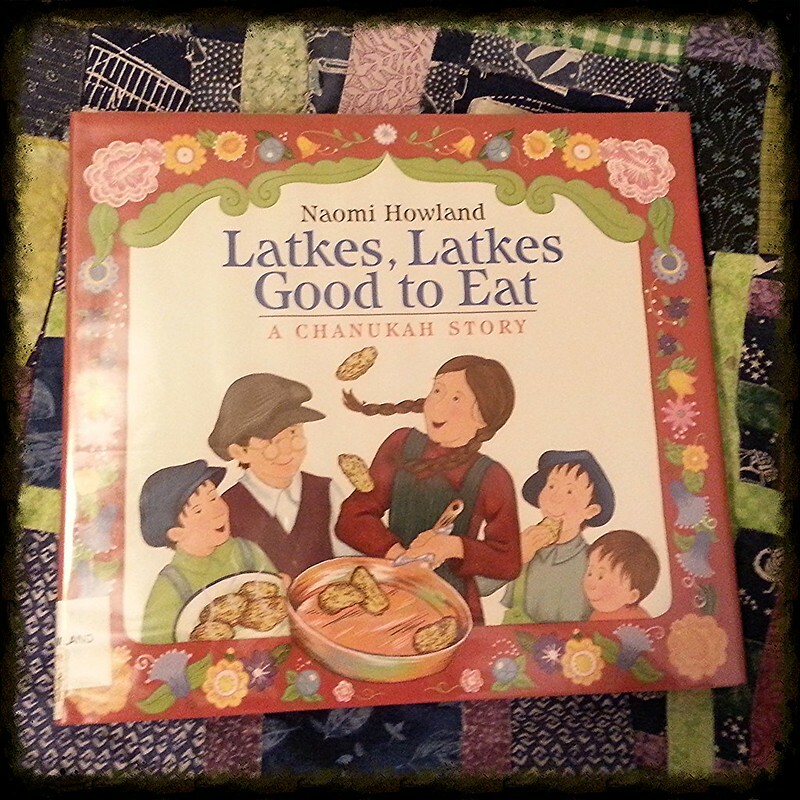 This is my ninth post about a Caldecott book. You can read the other Caldecott posts here. Read This! Molly, by Golly! Kids are so often firefighter obsessed and I was thrilled to find this female-centric firefighting tale when Frances was a baby. We check it out of library on a regular basis! 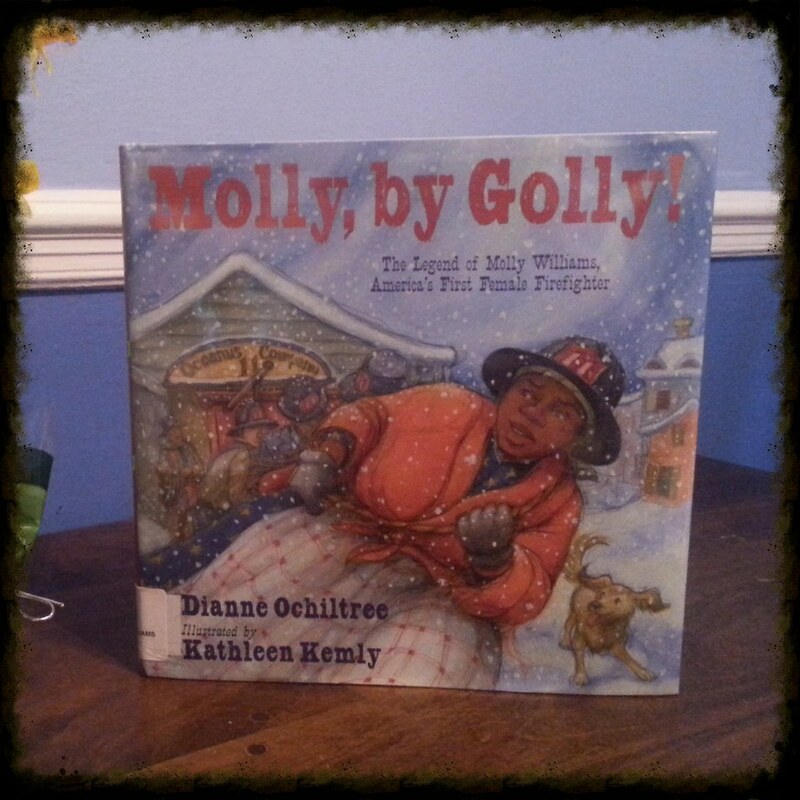 Dianne Ochiltree subtitles this book “The Legend of Molly Williams, America’s First Female Firefighter.” Molly Williams was a real person – the African-American servant of one of the volunteer firefighters with New York City’s Fire Company Number 11. Ochiltree did extensive research for this book, and this story is the one often told about Molly – how when, in the early 1800s, there was a fire call during a snowstorm & flu epidemic, Molly joined the male volunteers with the company to fight the fire. There is so much awesomeness in this book – a look at how fires were fought 200 years ago, a strong woman to cheer for, and a portrayal of an African-American woman during the early days of our country who was not a slave. Pick this one up! 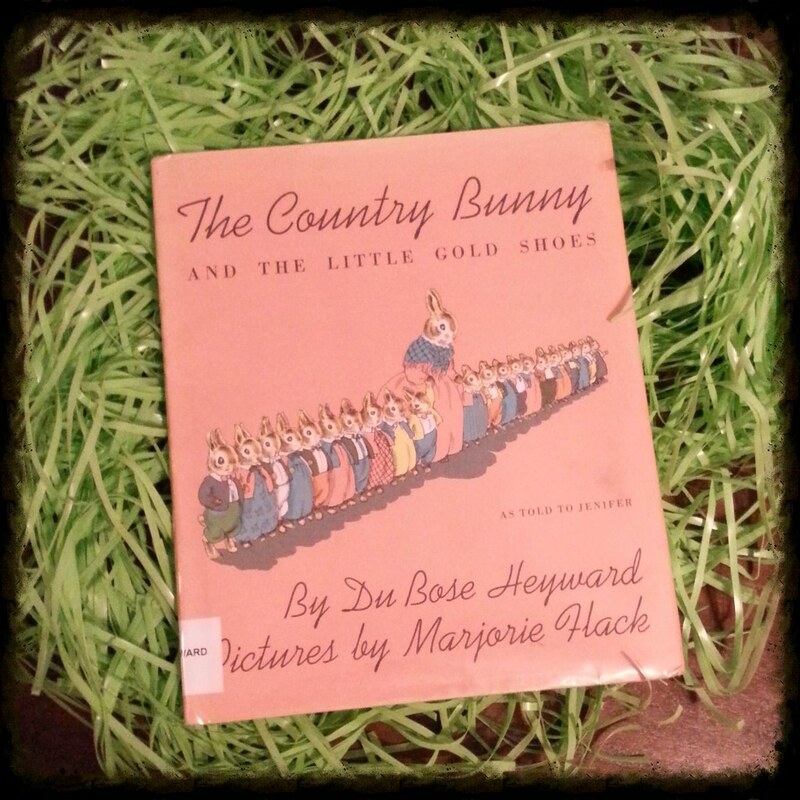 First published in 1939, The Country Bunny and the Little Gold Shoes was a staple of my childhood and I’m working to make it a staple of Frances’. Sometimes when you reread books from your childhood, it’s this horrifying experience in which you realize how racist/sexist/awful the book actually is, but I’m here to tell you that The Country Bunny and the Little Gold Shoes is the opposite. It is more right on than you remember! A little country girl bunny dreams of growing up to be one of the five Easter bunnies, but the big white bunnies who live in fine houses and the long-legged Jack Rabbits all laugh at her. Sure enough, she grows up, gets married, has 21 babies (surprise!) and thinks her Easter bunny dreams will never cover true. But when one of the Easter bunnies retires, she takes her children to watch the younger, larger male bunnies compete. Pretty soon, the Country Bunny has proven to Grandfather Rabbit that she is wise, kind, fast and clever – just what he needs in an Easter Bunny. Not only is this a girl-power kind of tale, but it’s one of the only picture books I can think of that not only features, but totally celebrates a working mother. 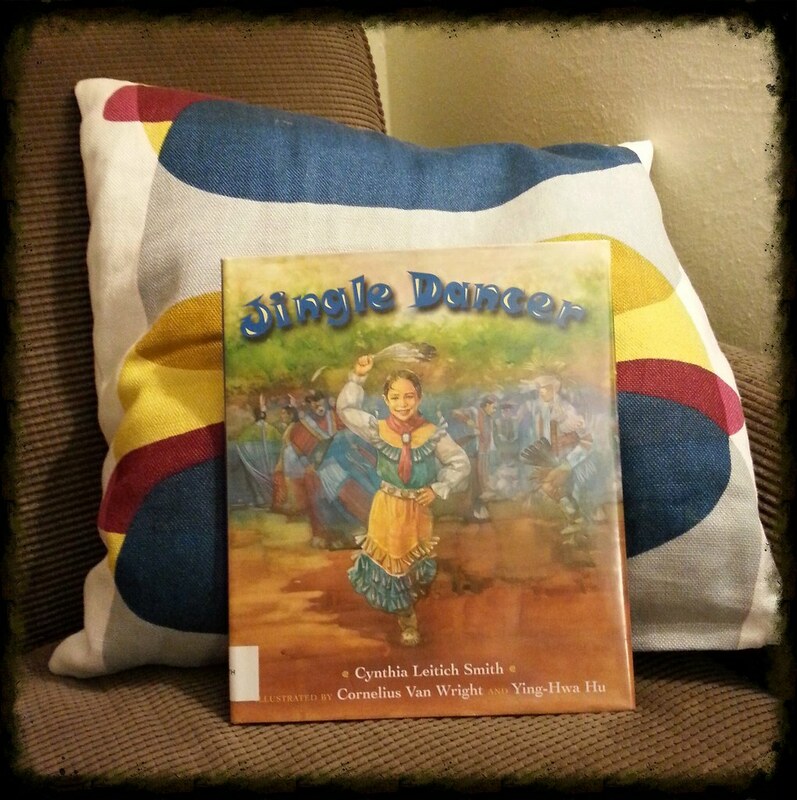 In this lovely story by Cynthia Leitich Smith, Jenna, a Muscogee (Creek)/Ojibway (Chippewa/Anishinabe) girl in Oklahoma wants to dance at the upcoming powwow like her grandmother. To do so, she needs a jingle dress – but there isn’t enough time to order the tins to make the jingles. Luckily through the power of community, Jenna is able gather enough jingles for her dress. The warm watercolor illustrations of Cornelius Van Wright and Ying-Hwa Hu are gorgeous and bring beautiful life to the wonderful relationship Jenna has with the important adult women in her life.